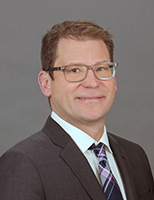 Eliot, a Senior Vice President with Cushman & Wakefield | CRESCO Real Estate since 2005, has been in the real estate industry for over twelve (12) years. He has been a licensed agent since 2001. During his career with CRESCO, Eliot has completed hundreds of deals and satisfied many clients. Eliot has been involved in numerous attributes of real estate such as land acquisition, leasing, property sales and subleasing. Eliot’s accomplishments have involved government participation in land acquisitioned leaseback opportunities, marketing properties for the best needs of his clients and extensive research for tenant representation assignments. Prior to his commercial real estate career, Eliot worked in the industrial coatings industry (Sherwin-Williams and ICI) focusing on superior customer service combined with technical expertise.